Are you ready for a word?! 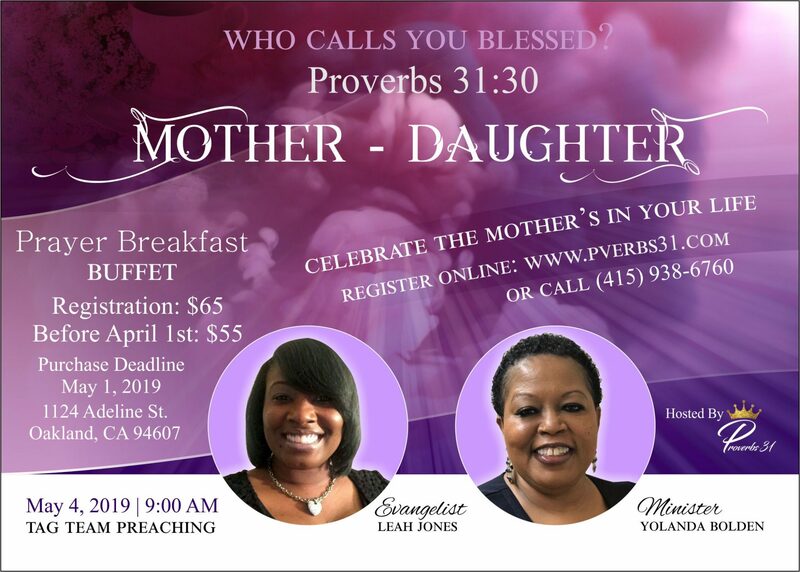 Proverbs 31 is hosting a Mother Daughter Prayer Breakfast on May 4th. Bring your mother and mother figures, your daughters, physical and spiritual and come hear a great word from a dynamic, mother daughter tag team preaching duo; Evangelist Leah Jones and Minister Yolanda Bolden. Each attendee will receive a gift, a chance to win some of our raffles, and all access to the fulfilling breakfast buffet. Vendors will also be on site, and some entertainment will be given to start the day off.